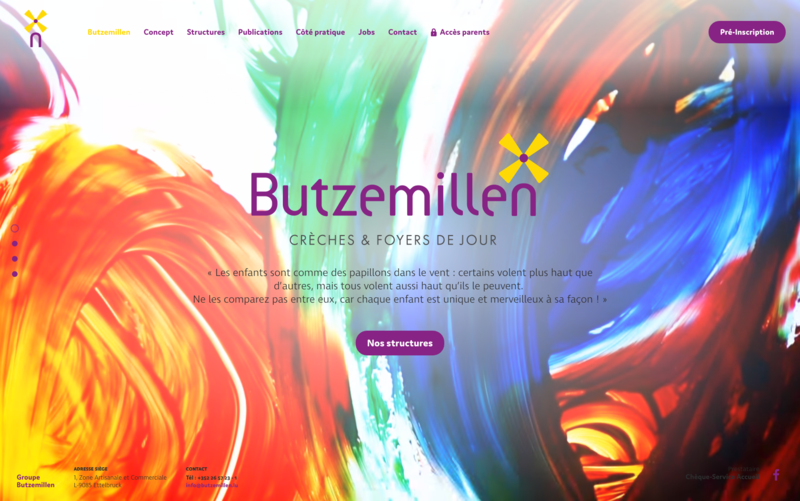 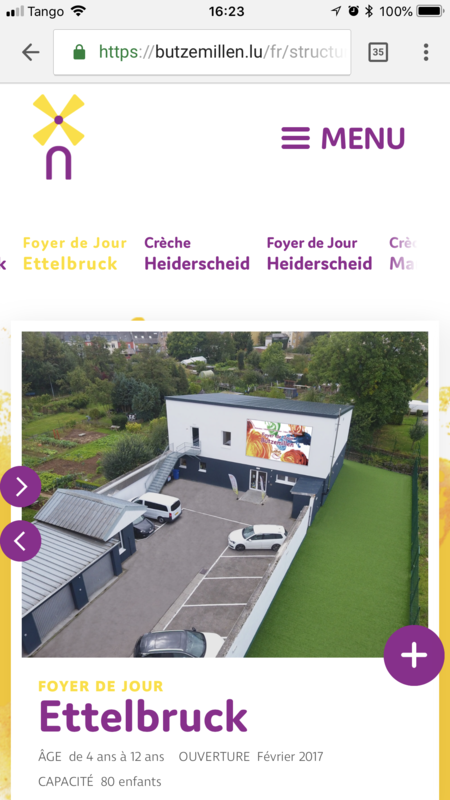 Butzemillen, a day care center in Luxembourg, contacted us for a redesign of their website. 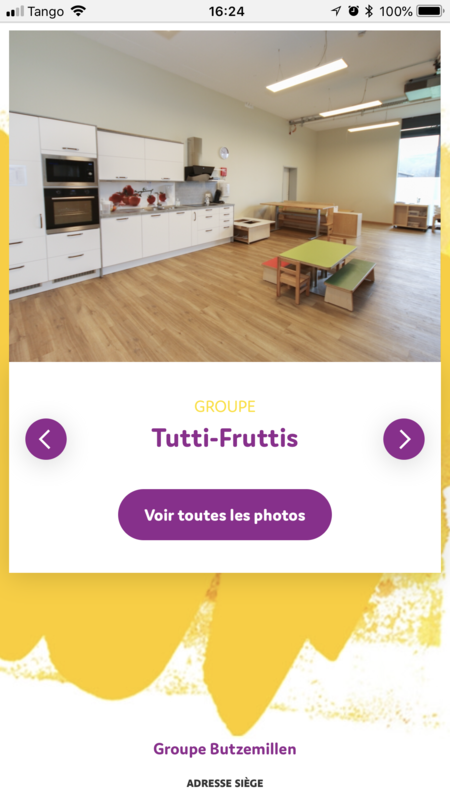 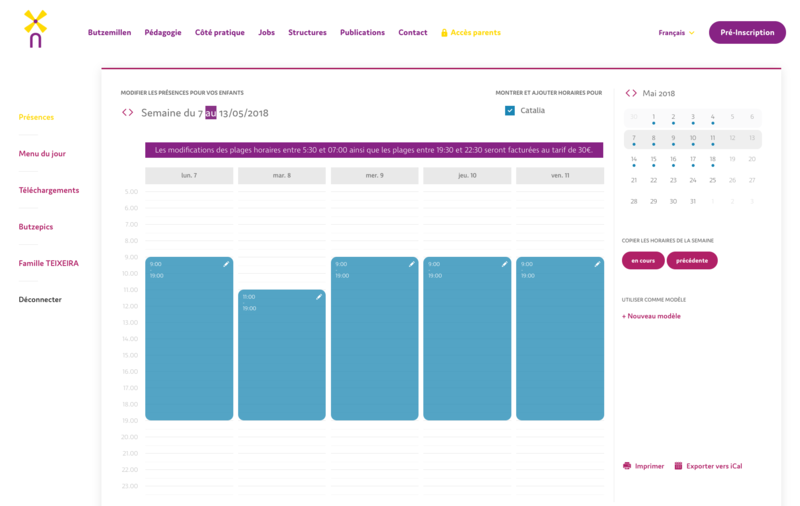 We not only created a new visual design for them, but also added several new features such as an online photo service or a custom-designed calendar where parents can easily enter their children’s enrollment. 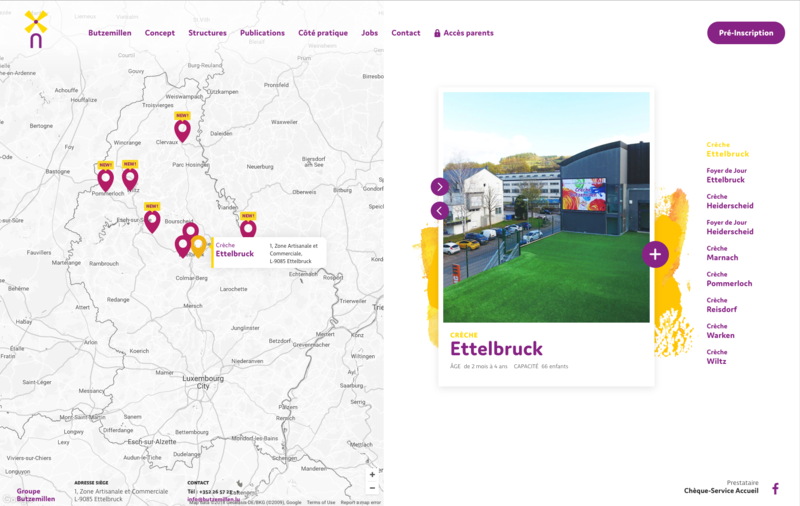 We cared a lot about several small animations, a good user experience and an intro video, that we filmed with the children from Butzemillen.